Playful penguins are ready to skate across your windows. 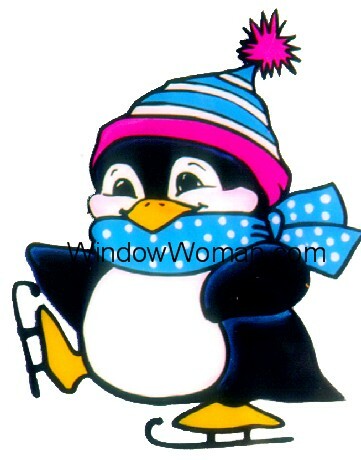 And you know it's cold outside when you see even the penguins wearing winter hats, ear-muffs and scarves. Click here to see Gwen, the Penguin.